The Government’s reforms to industry training have now been completed with the passing of the Industry Training and Apprenticeships Amendment Bill. Legislation reforming industry training has passed its third and final reading in Parliament. Tertiary Education, Skills and Employment Minister Steven Joyce said a 2011 review of industry training highlighted a number of issues hindering performance in the sector which lead to the Industry Training and Apprenticeships Amendment Bill. strengthens the quality assurance framework for ITOs. The changes are to complement the Government’s other initiatives that have been put in place including boosting the educational content of apprenticeships, increasing funding rates for industry training and apprenticeships, and setting clear performance expectations for ITOs. “As a result of the passage of the bill, we will have a much stronger industry training system. The profile and quality of apprenticeships will be improved, quality assurance of ITOs will be in line with that of other tertiary education organisations, and there will be greater links between industry, the industry training sector, and Government,” Joyce said. The Apprenticeship Reboot aims to get more New Zealanders into in-work training, and into priority trades. The first 14,000 new apprentices enrolled since March 2013 are eligible for a grant of $1,000 towards their tools and off-job costs, or $2,000 if they are in priority trades, with the same amount paid to their employer. More than 11,000 apprentices have signed up since the reboot started. 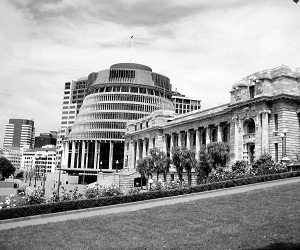 The bill completed its third reading by 64 to 56 with National, Maori Party, ACT and United Future in favour.